Paul Tierney, specialist Architecture, Art & Design Photographer. 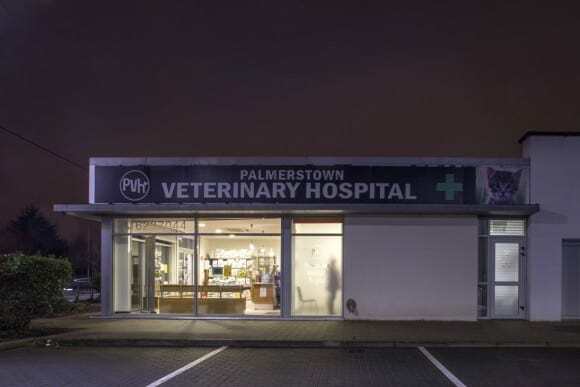 Palmerstown Veterinary Clinic evocative of an Edward Hooper Painting. A bit of diversion from the usual architectural image. “ I sell architecture better and more directly and more vividly than the architect does” . This sets the tone for much of the book. It also highlights the problem of how architecture is represented. The images from this chapter avoid the conventions of blues skies, vertical lines , perfect context etc. Of interest are images by Iwan Bann and Michele Nastasi. The book is representative of the global architecture covering Asia, Europe, The Americas and Middle East. Africa is not represented extensively. Work by Mikhael Subotzky & Patrick Waterhouse on Ponte city could have address this imbalance. The book Ponte city was published in 2014 however most of the photographers were from 2008 onwards. Michael Wolf , Thomas Struth and Nuno Cera feature in the “Cityscapes of change” chapter. The project “Architecture of Density” by Michael Wolf showcases the density of development in Hong Kong. Thomas Struth documents cities in his “Unconscious Places” project. The series seeks to encapsulate the sense of a place in a single image. Nuno Ceras’ images investigate the physical and metaphorical nature of space. The images present layers images of reflections from high rise hotel rooms. Sze Tsung Leong visual documentation of China are very compelling also. Man-altered Landscapes catalogues work by Peter Bialobrzeski , Nadav Kander, and Armin Linke amongst others. The project “Architecture of Authority “ by Richard Ross is also featured. The images is “explore the nature of institutionalized space” and present an architecture that shows the “failure of moderation, politics….humanity”. The strongest parts of the book show photographers working in a documentary tradition. The chapters on conceptual photography speak less about “Shooting space” and are more concerned with creating new visual spaces. Typically, the images are made by digital manipulation of some sort. Overall the book presents a good anthology of photographers and their approach to photographing the city. More than Concrete Blocks: Dublin City’s twentieth-century buildings is a three-volume series of architectural history books which are richly illustrated and written for the general reader. Unpacking the history of Dublin’s architecture during the twentieth century, each book covers a period in chronological sequence: Volume I, 1900–40; Volume II, 1940–73; Volume III, 1973–2000. The series considers the city as a layers and complex place. It makes links between Dublin’s buildings and Dublin’s political, social, cultural and economic histories. Sometimes I’m asked what would be a good camera for architectural photography. How will you use the camera? is the first question to ask when you are thinking about buying. Most people have diverse interests. They will what a camera that matches those interests. For many it is pictures of friends, family, landscapes, travel, a bit of architecture and occasional sunset. Portability is a bonus, and expense a concern. My personal belief is that the best type of camera is one that you can pop in a pocket and bring with you everywhere. The old joke is : ” The best camera is the camera you have with you”. For this reason smart phone cameras have much to offer. I have listed the types of suitable camera and their advantages and disadvantages. For most photography I would recommend getting the most portable camera that you feel comfortable with. The reason is that many people leave their “good” camera behind on day trips because of the weight of the camera. A heavy camera and a bag of lens with a tripod can weight up to 10kg. Photography should be about creative image making not weight lifting. Smart phones use a very small image chip, because of this they will always have a very long depth of field ( this can be a good thing for some photography). The user interface on smart phones can be a bit difficult to use, a dedicated camera functions better as a camera. The camera function on smart phones can be very slow also, not so good for candid pictures. The optics on smart phones are never as good as a dedicated camera. Smart phones can be expensive costing from 200 to 1000 euro/ dollars. Smart phones have to be charged every day, most dedicated cameras will have a good battery life. Many cameras offer a zoom that will give a good range of focal lengths from wide angle to telephoto . Many offer built in “effects” modes, producing convincing black and white, retro or positive film effects. The mental connection between photography and cameras and photography has been replaced by a connection between a mental photography and the smart phone. Nowadays when we want to remember that we want to take ” good” photography we have to actively compel ourselves to bring the “good” camera. As a result the good camera is frequently left behind. All of these types of cameras offer better camera and optical performance, but the big trade-off is portability, weight and convenience. Personally I feel that the trade-off can be too high. DSLR’s are sometimes so expensive/heavy/complicated that they discourage use. Superior optics ( but only if you invest in good lenses). Bigger chip, is better for portrait photography. A full system of accessories etc. They are a serious camera, if you’re using one there is a tenacity to dedicate more time and concentration to the photography. To get the best out of the camera they frequently require a tripod. Generally no flash on the higher end models. To get the very best out of the image they require a considered and methodical approach to image making. If the lens is detachable the chip can get covered in dust. In summary of the above, if you want to upgrade your architectural photography I would recommend a good compact camera over a DSLR. Others will disagree no doubt. If you have about 30000 euro to burn you could also opt for someone from this company. Rooms by Declan O’Donnell is on sale now. You can even buy it with Room by Emma Donoghue on Easons. The R.I.A.I. 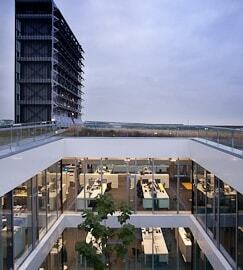 Architectural Awards has announced the awards deadline. Mark Thursday April the 7th in your diary for the awards submission date. If you’re thinking of entering the awards you should plan to have your presentation prepared one week in advance. Enter Now to the 2016 RIAI Irish Architecture Awards. Now in their 27th year, the RIAI Irish Architecture Awards celebrate the best architecture in Ireland and around the world. Winning projects reflect quality and advances in architecture, and show the value that architecture adds to society across a range of typologies. The RIAI Awards are judged by an expert jury of award-winning architects and renowned assessors. 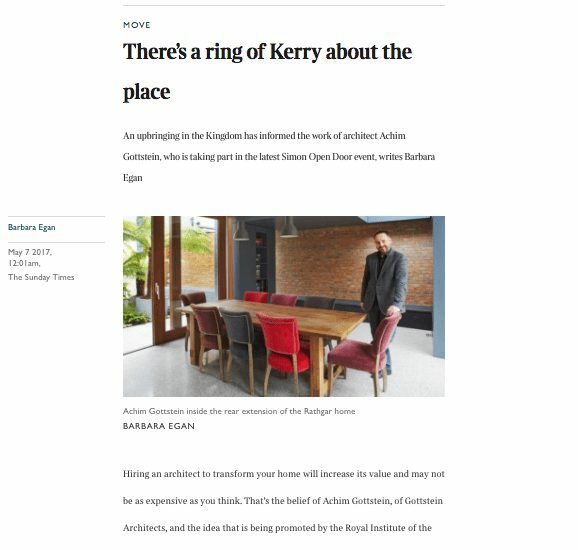 The RIAI Irish Architecture Awards are accompanied by an effective and far-reaching national media campaign. Traditionally, the winner of the Public Choice Award has been announced on RTE Radio One Morning Ireland while RTE Six One News has covered the awards for television. In addition, there has been substantial media coverage in national and regional newspapers as well as regional radio. The audience reach in 2015 has been over 2 million. The RIAI Awards are accompanied by a Digital Marketing and Social Media campaign. 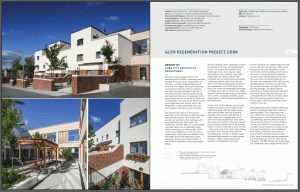 The RIAI Awards are accompanied by in-depth publication in Architecture Ireland and The RIAI Annual Review. The RIAI Awards are accompanied by a public engagement programme – our Walks + Talks of award-winning buildings, led by the architects. Architecture Ireland recently published an edition on housing. 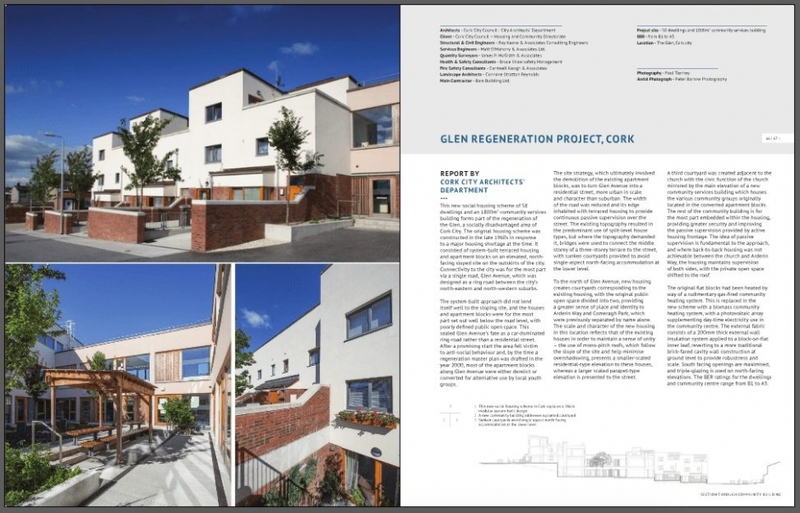 The Glen Regeneration project completed by Cork City Council is featured in the edition. Photographs of the project were completed last summer on a glorious day. The project is a great example of housing in the landscape. Cork’s steep slopes are made use of by the Architects to create a patterned landscape of housing across the hills cape. The slope enables courtyards at the front of some houses that have bridges into the main accommodation.